Opal is a gentle stone of relaxation. 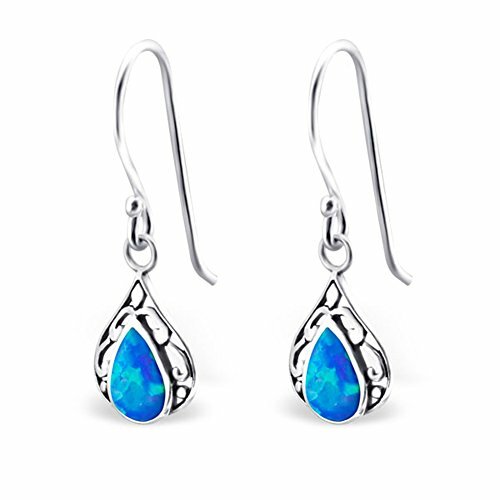 There is beautiful combination with genuine 925 sterling silver. Material - genuine 925 sterling silver, Nickel and Lead free. Conform to International, European an American legislation regarding lead, nickel and heavy metal content. Finishing - Silver plated, Oxidized + E-coat protects the sterling silver from tarnishing for an extended period and lets the natural beauty of the sterling silver come through.